Del Mar’s 2018 fall season is in the home stretch, which means precious little time remains to get your fill of high-caliber SoCal racing before Santa Anita’s traditional opening day on Dec. 26, which falls on a Wednesday this year. But let’s concentrate on winning during Del Mar’s waning days. If you are looking for the winning main-track profile at Del Mar, the slight preference certainly goes to speed, but the track overall has played fair and the front-end preference could not at all be termed a “bias”. In fact, most other racetracks, including the others on the SoCal circuit, favor speed much more so than Del Mar. At the most commonly run distance of six furlongs, Del Mar tends to favor horses with tactical speed or those capable of leading, pressing or stalking — but certainly not as much as at Santa Anita. Effectively, this means that come-from-behind horses will have a better chance at Del Mar than at the previous Santa Anita meet. At Del Mar, around 20 percent of all six-furlong races are won wire-to-wire, as opposed to around 30 percent at Santa Anita. At six panels, horses definitely want to me within three lengths of the pace at the first call. At Del Mar, 75 percent of these races are won by horses within three lengths of the lead, versus roughly 80 percent of such winners at SA. If you want to bet against frontrunners, it is much better to do so at Del Mar at the distances of 6 ½ furlongs and 7 furlongs. It is still important to race within three lengths of the lead at these distances, meaning it is tactical speed winning the most races at Del Mar. Front speed is much more important at SA, especially at seven furlongs, where frontrunners (those leading or within a length of the lead) cash in most often. Here is another Del Mar betting angle: At the distance of one mile (two turns), tactical speed is a money-losing disaster. According to the stats, there are two main ways to win at Del Mar at one mile on the dirt — by going wire to wire (or racing within a length of the early lead) or by closing from more than three lengths off the pace (roughly 35 percent wins). That makes this particular distance the best for closers on the Del Mar main track — and also the worst for pace pressers and close-up stalkers. 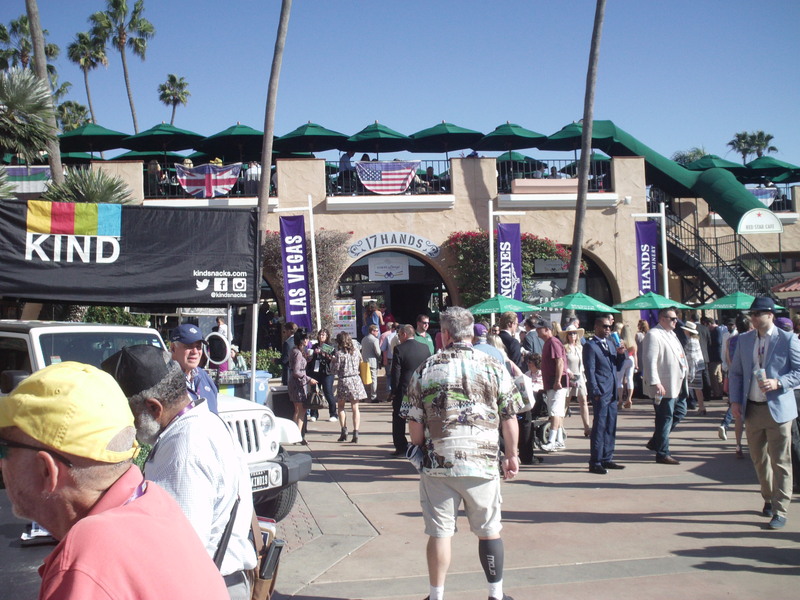 Now, let’s talk turf, where Del Mar cards some of the country’s best grass racing of the fall. Since the current turf course was installed, Del Mar turf races are now carded for up to 14 runners and they routinely lure good fields. With big field sizes in Del Mar’s grass races, the importance of drawing a good post position is increased. This is particularly true in turf routes longer than 1 1/16 miles. At the most commonly run turf route distance of one mile, it is also worth noting that the inside two posts are (surprisingly) often at a disadvantage. While post two did do well at the 2018 summer meet at one mile, the long-term stats suggest posts 3-8 are best. For example, while the sample size is small, just one horse won from posts 1-2 through the first 10 turf miles at the current fall meet, making those starters just 1-for-20. So, in terms of post draws in turf routes overall, the best positions to break from are posts 3-8. This is particularly true at one mile and 1 1/8 miles. 1) Turf-route closers do much better at Del Mar than at Santa Anita and should therefore be upgraded. 2) The mid-pack horses, pace-pressers and stalkers in these races do the best, accounting for about 50 percent of the victories. Turf sprints are generally unpredictable at Del Mar, seemingly shifting from year-to-year with how they favor either speed or closers, or inside posts versus middle or outside posts. Meanwhile, one thing seems certain: SA turf sprint form does not translate well to Del Mar’s shorter, flatter turf dashes (all of which are at five furlongs). Different horses win on these very different turf courses, so expect a lot of form reversals — both good and bad — from horses’ turf sprint past performances at the Great Race Place. Also upgrade speed, which has a much better chance to hold in Del Mar’s shorter turf sprints than it does in Santa Anita’s trademark down-the-hill 6 ½-furlong grass races. Turf sprint post positions at Del Mar seem insignificant, with horses winning from inside, middle or outside draws.